YG Entertainment, the undisputed leader of K-POP music that houses top KPOP stars like PSY, BIG BANG, 2NE1, will be bringing their first “YG FAMILY 2014 GALAXY TOUR: POWER IN SINGAPORE” to Singapore coming 13th and 14th September! Singapore is the ONLY South East Asia stop where the YG FAMILY will be touring, fans from Malaysia, Thailand, Philippines and Indonesia are expected to join in this major extravaganza! WINNER, YG's most anticipated boy band since BIGBANG’s debut 8 years ago has garnered attention since their appearance at the Korea reality show “WIN : Who Is Next?”. 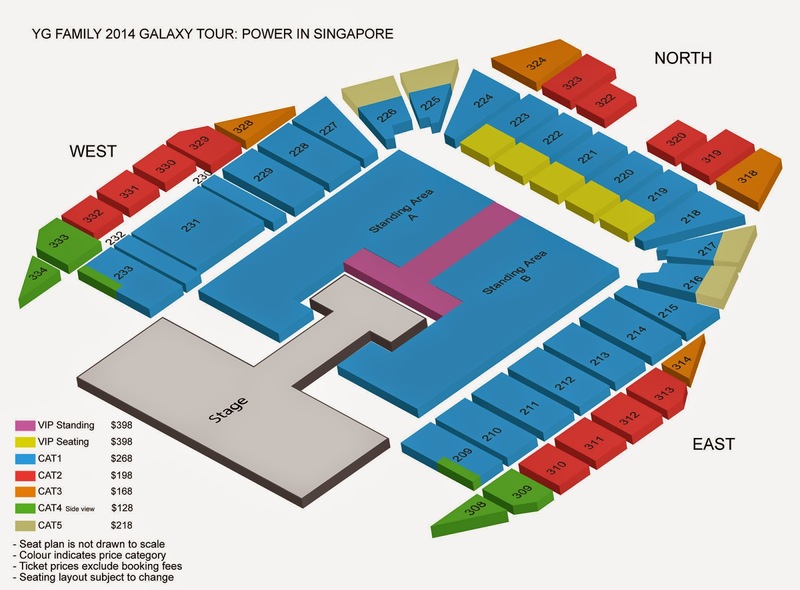 Coming September 13th and 14th enjoy the hottest Hallyu stage at the YG FAMILY 2014 GALAXY TOUR: POWER IN SINGAPORE, the one and only 2014 biggest KPOP concert in Singapore! Don’t miss out on this once in a lifetime experience! All information is correct at time of publishing, but subject to change without notice.